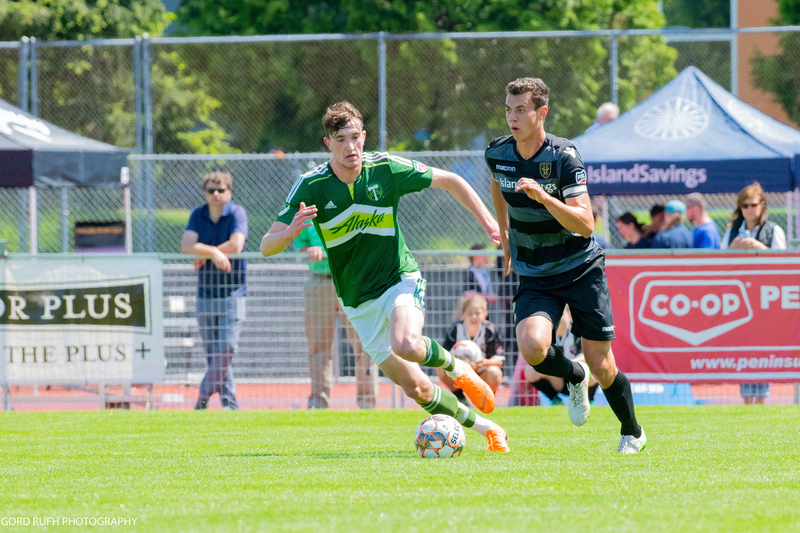 Victoria, BC (May 22, 2018) - Highlander’s defender Callum Montgomery has been named to the Premier Development League’s (PDL) top 50 prospects for the 2018 season. For the local boy who has been a standout over the past three seasons at the University of Northern Carolina - Charlotte (UNCC), this is his second season in a row with this honour from the league. With assistance from the USL Scouting Network - the Premier Development League has highlighted 50 players to watch this summer. Leading the list of 50 players to watch are a pair of returning stars from last year’s Top Prospect lists. Louisville’s Tate Schmitt makes his return for a third season at FC Tucson, while Michigan’s Brad Dunwell will again feature for the Michigan Bucks. The PDL’s Players to Watch list is composed by input from the USL Scouting Network. The network features a wealth of soccer knowledge - including coaches, general managers and more from colleges and clubs around the country - identifying, evaluating and providing valuable data on thousands of PDL athletes nationwide. The PDL Top Prospects list will feature high-level talent recommended by these scouts throughout the season as they continue to pursue professional careers. The SMUS, Highlanders academy and VI Wave soccer player has made a name for himself locally and south of the border earning multiple honours. Following successful seasons with the Highlanders First Team, Montgomery was named the MVP for the 2016 season. The Victoria native was named Captain of UNCC for the 2017 season. Montgomery was named to the 2017 First Team All-Conference squad, First team All-State as well as being named three times in the Top Drawer Soccer National Team of the Week. The Highlanders are back in action this Friday May 25th at Centennial Stadium. Kick Off is at 6:35 PM. For more tickets and more information, please visit www.highlandersfc.ca.